Men’s dark-brown leather shorts. 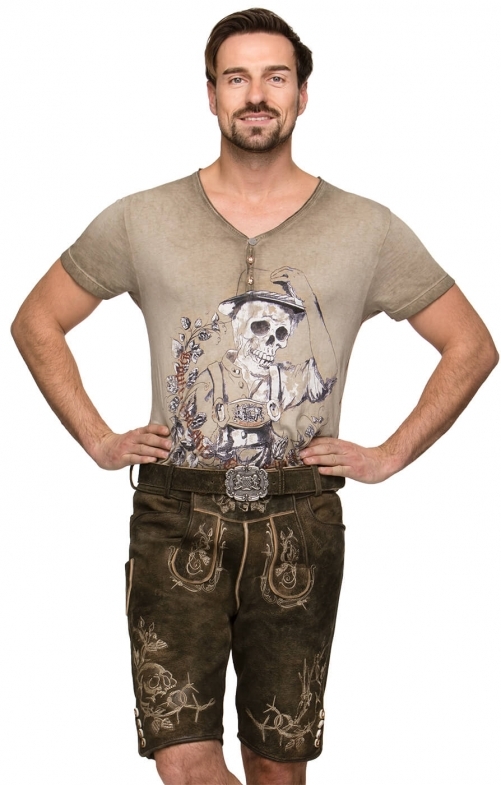 The unmistakable traditional Bavarian look of these dark-brown bison-leather shorts is given a modern touch with the accompanying leather belt. A whole host of embellishments has been included, most noticeably the light-brown embroidery on the traditional button-up bib and on the cuffs, which forms a skull-and-barbed-wire design. Gesehen Bestellt, anbrobiert perfekt ?